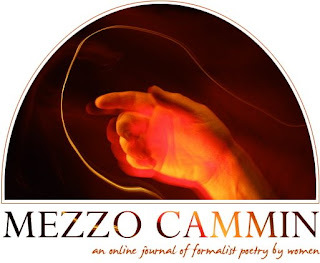 The new issue of Mezzo Cammin is now online. This journal is devoted to formalist poetry by women. It evolved out of a critical seminar led a few years ago by Marilyn Taylor at the West Chester University Conference. I was one of twelve participants. Our topic was undervalued women formalists. We each chose one poem by each of two such poets and wrote a critical essay. It was a wonderful experience and out of the lively conversation that took place came the idea for the journal, beautifully ushered in by Kim Bridgford who is its editor. While I don't consider myself a formalist poet, from time to time I enjoy working with forms. I have a particular interest in invented forms. I have two poems in this issue, both invented forms. The first one, "The Very Smell of Him," is a syllable count form. (I'm embarrassed to say that I can no longer remember what the exact name of this form is. Help?) The first line is 9 syllables, the next is 8, and so on down to 1 so you end up with a 9-line poem. The second poem, "Onion," is called a niner—9 lines, 9 syllables in each line. The form, as far as I know, was invented by Ann Silsbee. Barbara Crooker also has two invented form poems, the first an anagram, the second a sevenling. And then there's a crown of sonnets, this one including 14 sonnets. What's unique about this crown is that it's a collaborative crown with sonnets coming from six different poets. There's also a critical essay by Kathrine Varnes about the collaborative crown. Each issue of this journal also features the work of a different woman artist. This issue's artist is photographer Marion Belanger whose photos don't even look like photos. They're exquisite. The artist has also written an essay about her work. So check out this issue of Mezzo Cammin. It's nice to receive good news anytime, but especially these days when there's so much bad news. I've had several pieces of the good kind in the past few days. 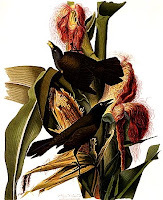 First, Ed Byrne, editor of the online journal, Valparaiso Poetry Review, let me know yesterday that he was featuring my review of Paula Bohince's collection, Incident at the Edge of Bayonet Woods, on the journal's companion blog, One Poet's Notes. 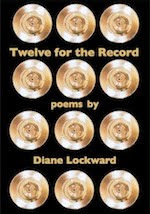 The feature also includes links to poems of mine that have previously appeared in VPR. If you haven't yet discovered the journal, check it out. It's one of my favorites. If you haven't yet bought Paula Bohince's book, do so immediately. 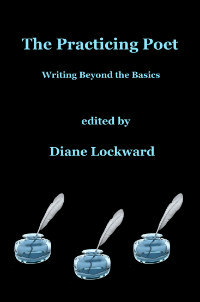 Paula, in addition to publishing this wonderful collection, recently received an NEA fellowship. And if you haven't yet discovered Ed's blog, do bookmark it. It's one of the most informative poetry blogs out there. Apparently, lots of people agree with me. Ed's post on Elizabeth Alexander's Inaugural poem received 1500 visitors in one day and 60 comments. In other good news, my poem, "The Missing Wife," is reprinted in the online journal, On the Issues: The Progressive Woman's Magazine." Also included are poems by Lois Rosen, Annie Finch, and Marge Piercy. One more piece of good publication news, but I'll save that until next time. Each entry gives useful information about the poet's availability, how far she is willing to travel, her terms, and preferred audience. Most entries also include links to websites and sample poems, a poet photo, and a book cover image. This should be a useful resource to anyone who is looking for a poet to book in a reading series, a book fair, or a festival. If you are an educator looking for a poet to visit your campus, you'll find her here. If you'd like a poet to visit your classroom and talk to your students about poetry, you'll find her here. If you need a poet to lead a workshop, you'll find her here. Please visit soon. And spread the word. By now the word is all over the place. Jim Haba has retired as Director of the Dodge Poetry Program, a huge amount of funding has been cut off, and the Dodge Poetry Festival will not run in 2010 and maybe never again. People who have attended this festival know what a loss this is. I read in the festival in 2006. It was a fabulous experience and I'm grateful that I got in before the hatchet dropped. I'm sorry for the poets who might have but now won't have this same experience. But it seems that this rotten economy is creeping into all areas of life. The article about the demise of the festival appeared in Friday's The Star-Ledger, New Jersey's largest newspaper. Right next to the article is another one announcing that the county I live in has just eliminated 219 jobs. In this week's issue of my local newspaper there is an announcement that my town's one and only independent bookstore is, after many years, closing. I guess they just can no longer compete with the chains and the online bookstores. The Frost Place will not run its annual poetry conference this summer. The enrollment last year dwindled to the point where it is no longer financially feasible. We went to the pizzeria last night. The place was close to empty. So there's grim news all around. One thought lifts up my poetry spirits a bit: Lots of poetry events can be run on small budgets or no budgets. I'm hopeful that Dodge will fund and run some smaller events. How about an East Coast Poetry Festival? How about state festivals, county ones, local ones? New Jersey poet BJ Ward created the Warren County Poetry Festival which has run since 1999 in alternate years with the Dodge Festival. Maybe other such events might be created? This weekend a few hundred poets have migrated to Cape May, NJ, to participate in Peter Murphy's Winter Getaway, a program designed to give aspiring poets and fiction writers the opportunity to immerse themselves in reading, writing, and talking about poetry and prose for three days. We will all miss the Dodge Festival, but let's remember that poetry by itself is an inexpensive art. Let's not just accept that there will be no more special events. Let's instead think about creating some new ones. I'm optimistic that Dodge is already thinking along those lines. The January / February issue of Poets & Writers came just when I needed it. After the brain-numbing, creativity-killing holidays were over, I was looking for something to stimulate some new poems. This new issue has just what I was looking for, i.e., an article by Kim Addonizio, one of my favorite poets. The article is entitled "First Thought, Worst Thought: Poetry Exercises That Inspire." The first part of the article lists and discusses the qualities that Kim values in a poem: Surprise, Music, Sufficient Thought, Syntax, The Parts Contribute to the Whole, and Mystery. The rest of the article includes six exercises "to get you writing," ideas to use "when you feel blocked and need to reconnect with your muse, or as a way to begin." I was immediately drawn into the first exercise, "American Sentences." The term was coined by Allen Ginsberg who created the American Sentence as a response to Japanese haiku. It's one sentence consisting of 17 syllables. Here's Ginsberg's example: "Four skinheads stand in the streetlight rain chatting under an umbrella." Your task is to simply write your own American Sentences. Kim offers a variety of ways that the task might be approached. I spent one morning on my first sentence. I wrote that one sentence and labored over it. I returned the next morning and wrote another sentence. And another. Then I remembered a poem from many months ago that hadn't amounted to anything, and I thought it might work nicely as part of what seemed to be developing as a new poem. So I imported it, spending a few more hours counting syllables on my fingers. Of course, at a certain point, I allowed for a few of what ended up as couplets, each one sentence, to be a syllable less or more. But what I liked and found exciting and energizing was the task of sticking to the plan. It made me pay careful attention to diction, to music, to the necessity of what I kept. It let me, or forced me, to surprise myself with the alternatives I explored in order to get the 17 syllables. I plan to try some of the other exercises as well. 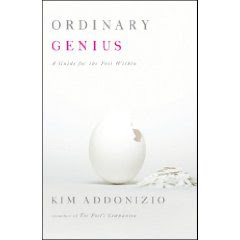 And I immediately pre-ordered the book from which the article is taken: Ordinary Genius: A Guide for the Poet Within, forthcoming in February from W.W. Norton. I expect it to be useful to me as both a poet and a poet-in-the-schools.